When what was then UCP of Lackawanna County first opened its doors in 1953, well actually in 1953 there were no doors to open, meetings of the fledgling group were held in the auditorium of the Scranton Times building. There were no program sites. Space for program activities once they began was rented or in some cases donated. There was no equipment. In fact, much of the things people with disabilities rely on today to move about, learn, work and communicate had not even been conceived of yet. There was however a need. There was also a group of people working hard to learn how to help meet that need. The agency itself and each of its program areas developed from identifying a need within a portion of the population with disabilities and responding to that need. Changes in our services have most often happened because of the changing needs of people with disabilities and their evolving and growing role in society. Sporadic recreational activities for young adults with cerebral palsy comprised the first service offered by United Cerebral Palsy of Lackawanna County. 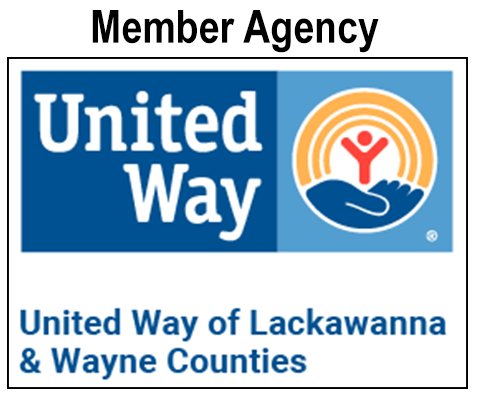 By 1958, an office was established; the agency had become a member of the Lackawanna United Fund (predecessor of the United Way) and was operating a developmental program for adults which ran three days per week. Program activities included a craft shop in which adults who wanted to earn some spending money made items for sale to the public and split the proceeds. The needs and goals of those we serve have always been the primary focus in UCP of NEPA’s programming and the crafts projects were designed to address the specific developmental goals of each adult. The craft shop formed the basis for the pre-vocational segment of the program. The center-based program for adults has, almost since its inception, also provided therapy services as well as social and recreational opportunities. Training in self-care, household management and other life skills are provided for adults who want to be more self-sufficient or prepare for potential independent living. In 1996, the Day Program instituted a Community Options component, which provides transportation and other supports for individuals to participate in activities in the community. Individuals and groups routinely engage in volunteer activities for a number of area organizations. The agency began providing early intervention services for children in Lackawanna County in 1965, although a Children’s Center wasn’t established until the early 1980’s. In 1982, the program for children in Wayne County, which had at first occupied space in a local physician’s office, moved into its own facility in the Stourbridge Mall. Meanwhile, plans were underway to purchase and renovate the Baptist Church in Clarks Summit for our Lackawanna County program. The expanded facilities were made necessary by both the growth in enrollment at the two program sites and the development of new services. In the mid-1980’s, UCP of NEPA began providing a child day care service for children with or without disabilities in Lackawanna County. The agency also collaborated with the ARC to establish Pennsylvania’s first Lekotek program. Both of these programs provided interaction for children with and without disabilities; the day care center by sharing a location with the early intervention program and holding joint activities, and Lekotek by including siblings in the monthly play/learning sessions. Eventually, programming in the Clarks Summit Children’s Center became fully integrated; children were enrolled in classrooms for their age and developmental level without regard to disability. During the 1990’s, the focus for services for children dramatically changed. Terms like “family-centered” and “child’s natural environment” symbolized the shift toward incorporating a child’s developmental needs into his or her daily activities instead of providing specific therapy service in a segregated setting. Early intervention services began to be provided primarily in the community, either in the child’s home, or in day care centers or preschools for those who attend. In 1998, the computer age added a new component to our services for children. Compuplay, a component of the Lekotek program, uses computer activities to enhance the child’s development in much the same way the Lekotek uses toys and play activities. The agency began providing the Home Service Program sponsored by the Pennsylvania Elks Association in 1965, and was an official unit of the statewide program by 1969. The program was instituted to help individuals with disabilities and their families who were not qualified to receive services from established organizations but who still needed help. The service has never been limited to people with cerebral palsy; and it has always served individuals of any age as well as providing help to their families. It has always been staffed by registered nurses with strong backgrounds in the human services field because the people who are served in the program often have medical issues as well as other needs. 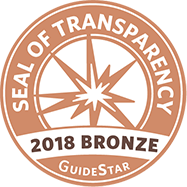 The program’s basic function - providing information, referral and advocacy for people with disabilities - has not changed, but the environment in which those services are provided has. Because people with disabilities are more active and independent than they were able to be in the past, services are more about opportunities in the community than referral to other programs. Laws like the Americans with Disabilities Act and the Individuals with Disabilities Education Act have also enabled the nurses to advocate for services to which the person is legally entitled. The first time UCP of NEPA tried to establish a community living arrangement (CLA) in 1972, zoning challenges delayed the home’s opening. After these issues were resolved, the first community living arrangement was opened in 1975. By the end of the 1980’s there were seven CLA’s in Scranton and surrounding communities and 25 individuals enjoying life in the community. The individuals living in these houses have all levels of abilities and it didn’t take very long for some to begin thinking about living on their own. In the early 1990’s, the agency helped several people make that dream a reality with the Supported Independent Living program. While the CLA’s provide life in the community with constant staff support and supervision, the SIL provides part-time help with specific tasks an individual might need, enabling them to enjoy their independence. With the increased participation and involvement in the community of persons with disabilities, comes the need to be able to get around in the community, function in a variety of settings and situations and to communicate with others. Staff and consumers from UCP of NEPA’s adult program first became involved with devices to help in the communication arena in the mid 1990”s. This led to working with PIAT, Pennsylvania’s Initiative on Assistive Technology and ultimately to becoming an Assistive Technology Resource Center (ATRC). The ATRC helps people with any disability as well as older individuals to access devices for mobility, communication, and self-care so they can maintain their independence, get around in the community, go to school, enjoy recreational activities and hold jobs. The technology may be considered “low” like reachers for people who use wheelchairs or those with arthritis, or “high” like computerized voice output systems for those with speech impediments, but the value of any of these devices is immeasurable to those they enable to do or speak for themselves. The needs and goals of people with disabilities have changed dramatically in the course of UCP of Northeastern Pennsylvania’s history. People who previously might have resided in institutional settings are able to participate in programs in the community, and those who may have had no options other than segregated programs are attending school, obtaining employment and living as included members of society. In its first half-century, the agency has come full circle – from having no facilities in which to provide services to establishing those facilities to providing services in the settings in which people choose to live their lives. The service philosophy has also evolved - from wanting to do something for people with disabilities to enabling our consumers to do for themselves what they want to do. United Cerebral Palsy of Northeastern Pennsylvania has always strived to meet the needs of persons with disabilities and to help them achieve their goals. That is one thing that has remained constant throughout our history.